Summer Showcase on April 13, Art Classes, Toddler Storytime, Meet the Farm Animals, plus more! 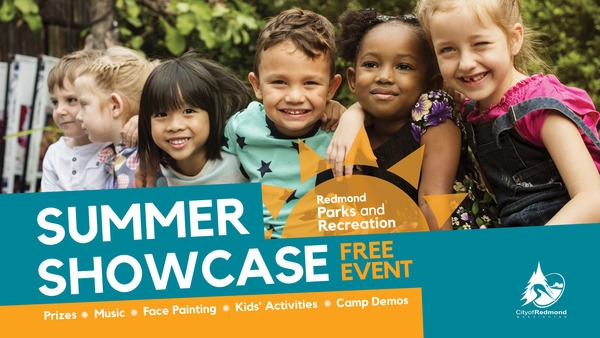 Discover why Redmond Parks and Recreation is your summer camp headquarters! Learn about camps, meet with representatives, experience demos, and enjoy face painting, games, activities, and more. City of Redmond has partnered with Centro Cultural Mexicano and their professional artists for an array of sensational Mexican Art Classes for ages 6 through adult. Space is limited, register today! Ignite laughter, exploration and creativity in your toddler in this monthly series. Each session includes a theme, crafts, games, and the opportunity to meet other families and new friends. Learn about, and get up close and personal with chickens, bunnies, goats, sheep, micro-pigs, ducks, a cow, and a mini-horse at Farrel-McWhiter Farm Park. View Redmond’s online activity guide and summer camp guide for hundreds of offerings. Choose from spring break and summer camps, sports leagues, fitness classes, art workshops, equestrian, dance, and more.